Little changes can make a big, big difference! 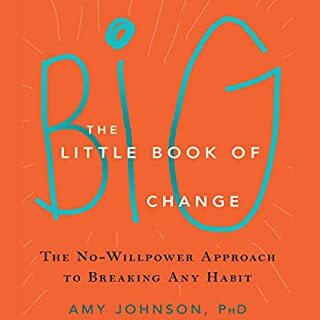 In The Little Book of Big Change, psychologist Amy Johnson shows you how to rewire your brain and overcome your bad habits - once and for all. No matter what your bad habit is, you have the power to change it. Drawing on a powerful combination of neuroscience and spirituality, this book will show you that you are not your habits. Rather, your habits and addictions are the result of simple brain wiring that is easily reversed. > Intuitive Eating is the go-to book on rebuilding a healthy body image and making peace with food. We’ve all been there - angry with ourselves for overeating, for our lack of willpower, for failing at yet another diet. But the problem isn’t us; it’s that dieting, with its strict rules, keeps us from listening to our bodies. 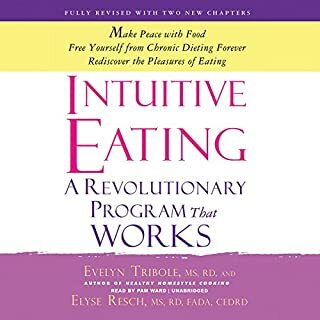 Written by two prominent nutritionists, Intuitive Eating will teach you how to reject diet mentality forever; how our three eating "personalities" define our eating difficulties; how to find satisfaction in your eating; and much, much more. 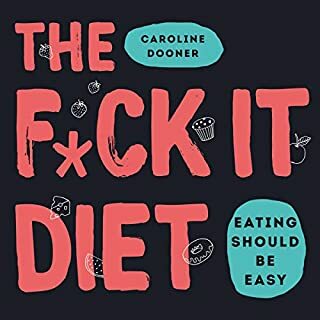 From comedian and ex-diet junkie Caroline Dooner, an inspirational guide that will help you stop dieting, reboot your relationship with food, and regain your personal power. Our bodies are hardwired against dieting. But each time our diets fail, instead of considering that maybe our ridiculously low-carb diet is the problem, we wonder what’s wrong with us. No one wants to overeat. And certainly no one wants to overeat for years, become overweight, and end up with a high risk of diabetes or heart disease - yet two thirds of Americans do precisely that. Even though we know better, we often eat too much. Why does our behavior betray our own intentions to be lean and healthy? 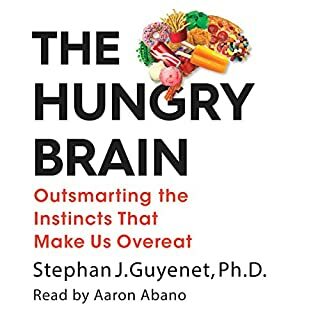 The problem, argues obesity and neuroscience researcher Stephan J. Guyenet, is not necessarily a lack of willpower or an incorrect understanding of what to eat. Rather, our appetites and food choices are led astray by ancient, instinctive brain circuits. We don't ask you to analyze your painful past experiences or to examine any personality "flaws" that may have led to your bulimia, as there is no scientific evidence supporting the idea that resolving underlying psychological problems leads to recovery (Walsh & Cameron, 2005). Instead, we give you clear, practical steps to remove your primal hunger, stop bingeing and purging, relearn normal eating, and overcome bulimia for life. You can recover. There is a way. 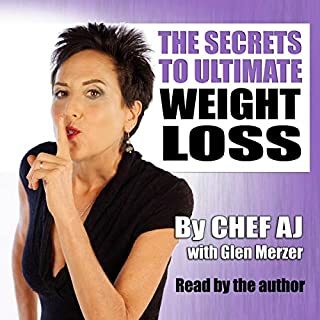 In her new audiobook, plant-based-diet expert Chef AJ provides you with not only the tips and techniques to begin your weight-loss journey but also the secrets to tasty homemade dishes that will fill you up without adding on the pounds. 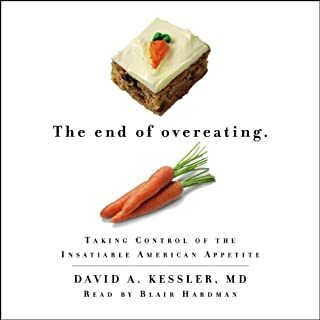 Written by: David A. Kessler M.D. 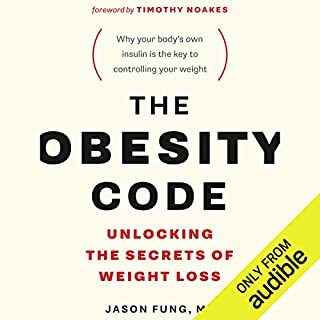 The End of Overeatinguncovers the shocking facts about how we lost control over our eating habits - and how we can get it back. Dr. Kessler presents groundbreaking research, along with what is sure to be a controversial view inside the industry that continues to feed a nation of overeaters - from popular brand manufacturers to advertisers, chain restaurants, and fast-food franchises. 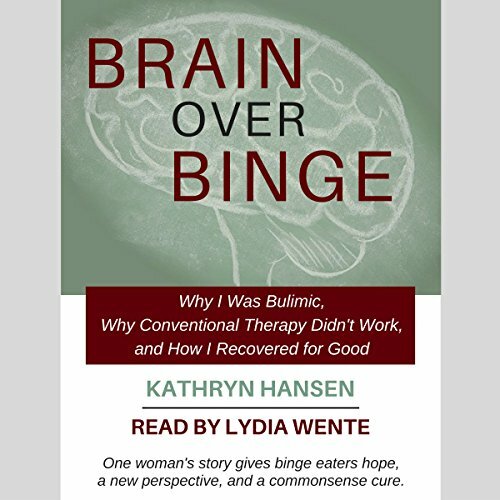 Brain over Binge provides both a gripping personal account and an informative scientific perspective on bulimia and binge eating disorder. The author, Kathryn Hansen, candidly shares her experience as a bulimic and her alternative approach to recovery. 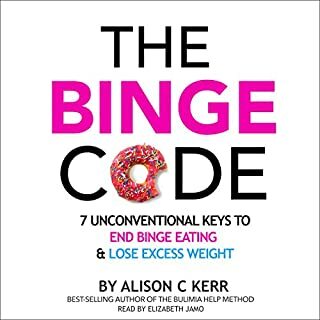 Brain over Binge is different from other eating disorder books which typically present binge eating and purging as symptoms of complex emotional and psychological problems. Kathryn disputes this mainstream idea and explains why traditional eating disorder therapy failed her and fails many. 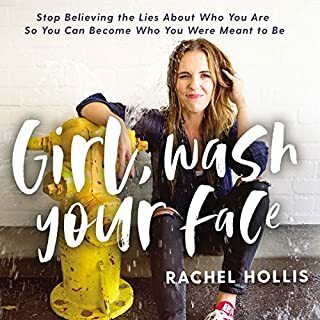 She explains how she came to understand her bulimia in a new way - as a function of her brain, and how she used the power of her brain to recover - quickly and permanently. Kathryn also sheds new light on eating disorder topics such as low self-esteem, poor body image, and dieting. Brain over Binge is a brave book that has helped many by delivering an informed and inspiring message of free will, self-reliance, and self-control. 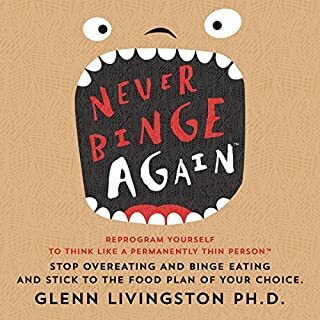 The point of the book is that in order to recover, one must detach themselves from the urges to binge and simply ignore their thoughts of overeating. She emphasizes that these thoughts are not truly hers, but a voice of her animal brain which had formed a habit of binge eating, so she needed to control it with her human brain. What she needed to say, could've been said in a few paragraphs but she spends so much of the book repeating things over and over and over, and sometimes rambling about other irrelevant information. This recovery method came from another book, it wasn't even her idea. She binge ate because she thought she didn't have control over these urges, then she realized she could control them and magically stopped overeating. A lifetime of binge eating and countless e.d. books later, this is the first time I feel a book addressed all the questions that typical eating disorder treatments have always raised for me. Although no one is exactly the same and I can't speak for everyone out there, for me , this is by far the most helpful book I have read on the subject. Gave me hope again. First, the good, the book chronicals the recovery of the author from binge eating disorder. An engaging read, she is genuine and shares her vulnerability with the reader in a touching story. The argument that acting on urges is what causes over eating and that we need not wait for some transformation and the complete resolution of "underlying causes and emotions" to stop destructive behavior is refreshing. A message that the "disease care" industry does not want us to believe. In this sense the book is empowering. The less good, the semantics around Overeaters Anonymous (OA) referring to a higher power (God) as we understand him vs the author referring to her higher brain, is a convoluted attempt at distancing her theory from OA. There are similarities. Finally, a pet peeve, does the book really need to repeat the word binge this many times? I know it's the topic of the book, but saying "... act on my urges ..." is sufficient. No need to say "...act on my urges to binge ...". In some sections it felt like every other word is binge. All in all a good book. Glad I read it and I did learn from it. 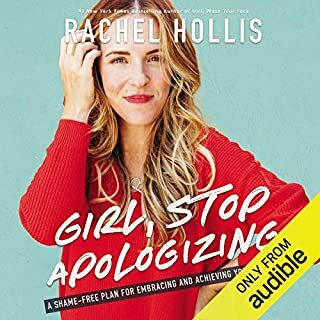 I struggled a lot with Binge eating and after listening to this book I don't struggle much anymore and when I do, it doesn't last. It has taught me how to view the urges to binge and how to stop then right away. I now understand that i'm not crazy. I love this book! I really liked this different aspect of looking at binge eating. I too experienced extreme restrictive dieting and after suffered from binge eating. it makes more sense to me now why I did binge and how to move forward. I wish I could give this book more than 5 stars. 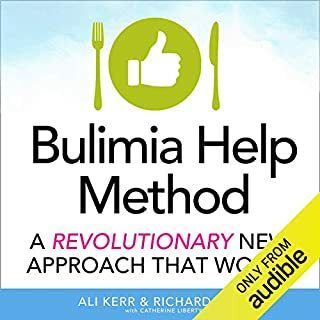 It is very detailed, clearly explains every concept, and gives a totally different approach to dealing with bulimia or BED. I also appreciated the author's personal story. There was much that I easily related to. I was a binge eater for about 40 years. I quit binge eating before I finished the book. My whole attitude toward food has changed. I did not expect that, and I am so grateful to have found this book. If I hadn't listened to this book myself! if i hadn't listened to this book myself, I wouldn't have believed it! I am a 51 year old male. I've been to over eaters anonymous, been to 3 different nutritionists, a psychologist, a clinical weight loss program, have been a member of several gyms in an effort to lose weight and was even prescribed phentermine at one time. I have been struggling with binge eating and sugar cravings and have damaged my body for years from binging on sugar. I have never been able to control my sugar cravings and have been addicted to sugar since childhood. This book in 3 DAYS !!!!! CHANGED MY LIFE !!!! Like I said. I know it sounds unbelievable . My struggle is over! Besides a little bit of sadness from thinking about how my life could have possibly been so much better had I known this information years ago, I couldn't be happier. Thank You so much Kathryn Hansen. Words cannot express my gratitude. p.s. My better half has also used this information to quit smoking. I urged her to replace "urge to binge" with "urge to smoke". Her first 3 days for were quite difficult but After 22 years as a smoker she is completely Smoke free. I think it's a good book. It's the author's personal account of how she uses Rational Recovery methods to end her bingeing. It's inspired me to find some other books that are helping me a lot. Honestly, though...I couldn't finish listening!! The narrator's sinus issues, her drone-like reading, and the choppy editing are all terrible. The narration doesn't do the content justice. I'll look for a copy at Half-Priced Books and finish what I couldn't stand to listen to any longer. Re-record this book! Great-life changing content - terrible narrator! 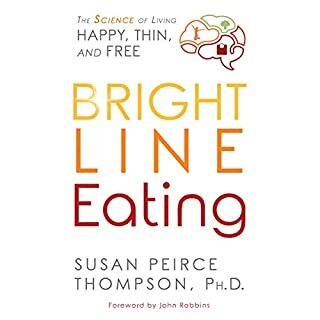 This book changed my life and my view of my eating disorder. The content is great but the narrator is awful! It’s almost robotic and hard to listen to, sometimes it nearly puts me to sleep. It’s choppy and doesn’t flow. This book contains story of the author's struggle and recovery followed by the detailed analysis rooted in neuroscience. 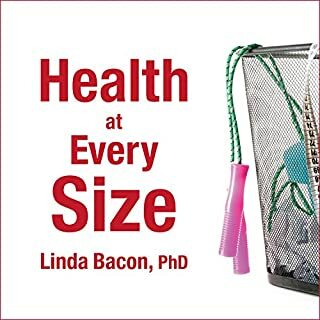 Ideas presented in this book are easily generalizable to other eating disorders and bad eating habits. I personally don't have bulimia. What I have is a bad eating habit which I was not able to stop in many years. It does not cause me any emotional suffering, but does cause my weight to hover 25 lbs above of what I believe it should be and what it was before I developed this bad habit. The core message of this book is that your cravings are not you. Cravings originate in your animal brain and your human brain is capable of simply observing these thoughts without acting on them. Such dissociation makes the cravings to lose their power and over time cures the addiction. I liked the narration of this book. It turns out that the book was narrated by a person who suffered from bulimia and cured after reading the book. 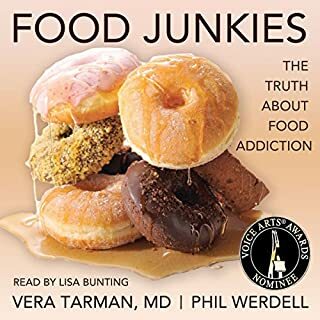 Overall I enjoyed listening to this book, learned the science behind the food addiction and one powerful technique for stopping it. Kathryn Hansen has done something that many therapists have failed to acknowledge in my life for years: sometimes it really is about the food. She takes more of a biological approach to understanding the causes of binge/purge behavior and explores some mindfulness-based practices to overcome these patterns. 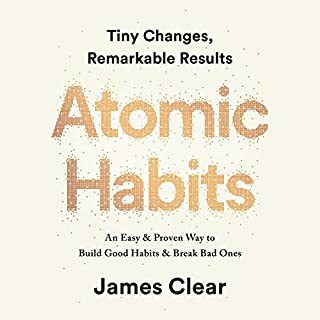 This book is all about reclaiming our own higher brains power to make choices for health instead of getting stuck in the loop of addictive behavior. I found the material presented extremely helpful and inspirational all though certainly not a cure-all. But that is also partly Kathryn's point - you don't have to fix your life in order to stop acting out on ED behaviors. 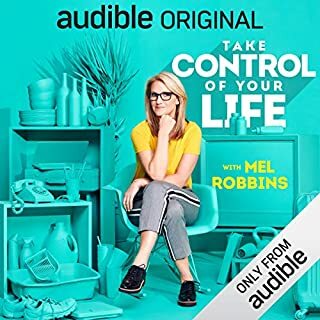 Thank you Kathryn for sharing your journey into and out of your lower brain <3 Note: The audio version has some editing errors and glitches here and there but did not keep me from enjoying the content. If you want to get to the real process, skip to chapter 10. This is a very helpful book. I was surprised to find that the production of this audiobook is so shoddy. Several times each chapter, you can hear mistakes and backtracks that were obviously supposed to be edited out. As far as the story, it is interesting to listen to one person's experience. But it's not likely to cure binge eating for every listener. I like the simple message she was delivering and how it's a different perspective on binge recovery. There is a lot of research out there regarding 'retraining your brain', emphasizing breaking conditioned neural pathways and forming new ones, and knowing that I was able to really connect with her message. However, this book was TOO long. Her extensive description of her history and specific details of life events could've been shortened exponentially, and many times felt repetitive or unnecessary. There was also poor editing done as I'm pretty sure the phrase "urges to binge" was used at least 1000+ times, qualifying it as a new drinking game as whenever you hear it spoken. The quality of the audiobook is also subpar. No excitement in the reader, so it sounds like a monotone robot throughout the entire book. Not to mention, starting in Part 2, they didn't take mistakes out so you hear her repeating the beginning of the sentence over and over, plus some static, etc. Overall, maybe I would recommend if someone was desperate enough or I thought would connect to the long message, but it's an amateur book at best. This personal account was really helpful, and the performance of the reader was fine. Unlike other listeners, I did not find her voice particularly annoying, but I was bothered by the editing (or lack thereof). There were many instances in which we hear the reader begin a passage, stop and start over, sometimes several times in one go. That is really annoying and ought to be fixed! L'auteure nous livre en toute transparence son histoire et l'on se reconnaît en elle (pour ceux/celles qui ont des &amp;quot;troubles&amp;quot; alimentaires), jusqu'aux détails qu'on ose rarement avouer quand on a ce genre de comportements tellement on a honte! Cette 1ere partie &amp;quot;témoignage&amp;quot; est un beau miroir qui nous permet de réaliser que d'autres personnes vivent les mêmes choses que nous (souvent on pense qu'il n'y a que nous qui vivons cela!). Même si il m'arrive encore parfois de vivre ces pulsions, elles sont beaucoup moins fréquentes et en moins grosse quantité qu'avant et je ressens qu'en continuant à pratiquer les outils de ce livre, elles finiront par disparaître totalement (c'est un processus dont la durée sera différente pour chacun). Je recommande vraiment les livres de Kathryn Hansen à toutes les personnes qui ont des compulsions/boulimies/hyperphagies/envies incontrôlables ainsi que les travaux de Amy Johnson et Lydia Wente (vous trouverez plein de ressources gratuites sur leur site internet).